You have an idea for a mobile app, Now What? Mobile apps can be created with many different features and useful ways to help streamline business tasks. In general, apps help streamline and improve data accuracy, save time and reduce costs and improve customer service. We’ve heard this thing about going paperless for decades! Technology has finally reached a point where this is now a reality. Our goal is to help you transform every paper form into bits and bytes! In many cases this helps your business become more efficient in document management and eliminates expensive forms at the same time. Carbonless paper forms contain harmful chemicals too toxic to talk about, plus edocs speed up the fulfillment process with our email auto responder built into every document so they arrive to their destination within minutes. Our electronic signature documents are the perfect paper replacement and are device friendly so they’ll look great on any size screen viewed on. We offer a variety of options to help you streamline your workflow. 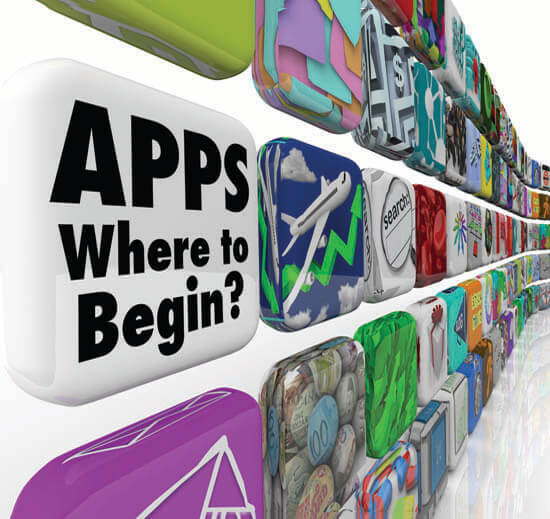 Let us help you road-map your app needs today!